A Poweshiek County farmer has been injured in a suspected gas explosion that leveled his home. The explosion happened just before 10am Thursday (2/7) on the 70-acre farm of Wayne Cheney, 13 miles southeast of Brooklyn. 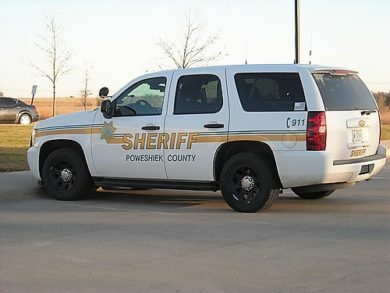 Poweshiek County Sheriff Tom Kriegel says Cheney told firefighters he was trying to light a space heater when the home exploded. Investigators believe gas had filled the house. Cheney was sent to an Iowa City hospital with burns and was conscious when first responders reached him. He is expected to survive. Cheney was among a number of people interviewed by police in last summer’s disappearance of 20-year-old Mollie Tibbetts from Brooklyn. Her body was later found in a cornfield. Cristhian Bahena Rivera has been charged with first degree murder in her stabbing death.